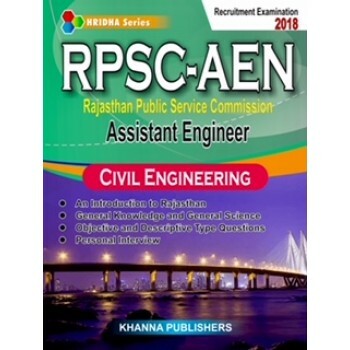 Preface The book has been designed as per the latest syllabus prescribed for RPSC-AEN (Rajasthan Public Service Commission) Assistant Engineering Examination is conducted every year by Rajasthan Public Service Commission for the recruitment of Assistant Engineer for government departments. We, as a leading publisher in technical books, have made an attempt to provide the complete book covering all the important sections of this examination. Each section covered compressively. Topics have been arranged as per syllabus. This book is comprised into two parts (Preliminary and Mains Examinations) alongwith Personal Interview. This book will serve the purpose for the students who are preparing for Assistant Engineer Examination. The main objective of this book is to guide the students about the technique of questions asked in the examinations. The latest updates have been included in general awareness. Objective and Descriptive type questions arranged separately in Preliminary and Mains Examinations. Every attempt has been made to make this book student friendly. Any suggestion made by the students to improve the usefulness of the book are welcomed. 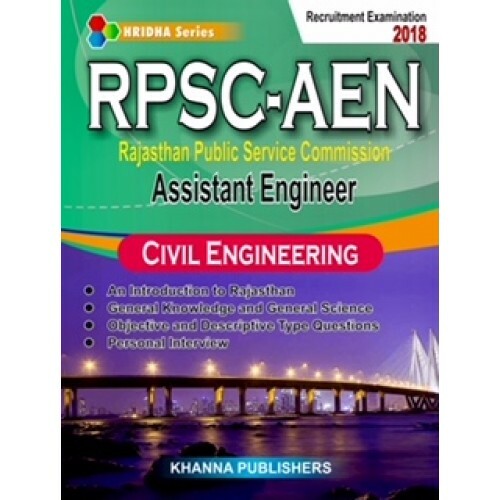 Table of Contents * AN INTRODUCTION TO RAJASTHAN * GENERAL KNOWLEDGE AND GENERAL SCIENCE * CIVIL ENGINEERING (MULTIPLE CHOICE QUESTIONS) * HINDI (ANIVARYA) * CIVIL ENGINEERING I & II (DESCRIPTIVE QUESTIONS) * PERSONAL INTERVIEW.